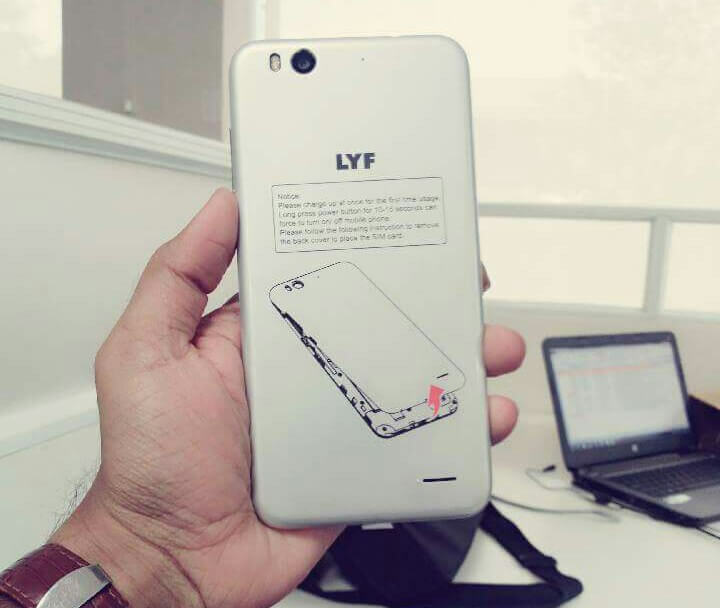 According to a recent report released by International Data Corporation’s (IDC), Reliance Jio’s LYF branded smartphones has replaced Lava as the 5th largest smartphone vendor in Q1 2016. The report also predicted the Jio’s shipments will continue to grow in the coming quarters owing to launch of its service offerings. “This year is expected to unfold many transitional phases in the mobile phone ecosystem as more vendors begin local assembling/manufacturing and an increasing trend for higher data consumption owing to affordable 4G devices and data plans”, said Navkendar Singh, Senior Research Manager, IDC India. “While the new entrants continue to make the Indian mobile market more competitive, vendors differentiating themselves with value added services could be expected in this year”, added Singh. The report confirmed Samsung as the leading player with 26.6% market share. 75% of the company’s shipments came from its J-series smartphones. However, Samsung’s shipment has dropped both year-on-year and sequentially (quarter-on-quarter). Followed by Samsung is Micromax retaining second position in Q1 2016 with 6.9% growth over the same period last year. The company’s shipments fell 17.9% sequentially for the second consecutive quarter. Intex regained its 3rd position, although shipments sequentially declined by 10% in Q1 2016, but grew marginally over last year. Intex’s 4G shipments almost doubled over the previous quarter strengthening its portfolio with over 15 active LTE models. Lenovo (including Motorola) slipped to 4th position as the shipments declined 35.8%, which is a huge decline when compared to the previous quarter. The vendor is likely to see some recovery with the launch of K4 Note and the next generation Moto G in Q2 2016, predicted IDC. Overall, 23.5 million units of smartphones were shipped in India in Q1 2016 registering 5.2% growth over the same period last year. However, smartphone shipments shrank by 8.2% over Q4 2015, dipping consecutively for two quarters. “4G based device shipments accounted for 65.5% of overall smartphone shipments in Q1 2016 driven primarily by Samsung’s J-series models. This sharp rise in the share of 4G smartphone is due to the cohesive move from the entire ecosystem,” said Jaipal Singh, Market Analyst, Client Devices. 4G-based smartphones shipments clocked 15.4 million units in Q1 2016, which has grown more than 6 times over the same period last year. Samsung continues to lead the 4G smartphone market followed by Lenovo and Reliance Jio. The Chinese vendors like Oppo, Xiaomi, Vivo and Coolpad gained traction in the first quarter 2016. More than two-thirds of the smartphones shipped in Q1 2016 were assembled within the country, reveled IDC. Few vendors are likely to start manufacturing components like batteries, chargers and data cables. IDC expects the smartphone market to gain the momentum in the upcoming quarters. Who will by this obsolete tech. In the name of jio don’t by obsolete and cheap tech………rise above.